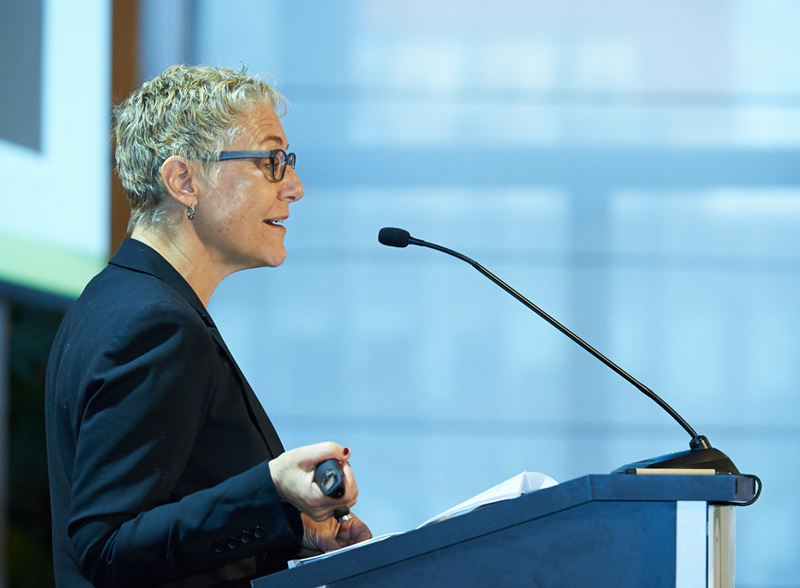 At the Fifth Annual James Beard Foundation Food Conference, Karen Karp spoke about her experiences farming oysters on the North Fork of Long Island. Photo by Kent Miller. Dr. Rita Charon closed the first day of the 2015 Food Conference with her talk, "Storytelling, Health, and a Way Forward." Dr. Charon is Founder and Director of the Center for Narrative Medicine at Columbia University. Photo by Kent Miller. 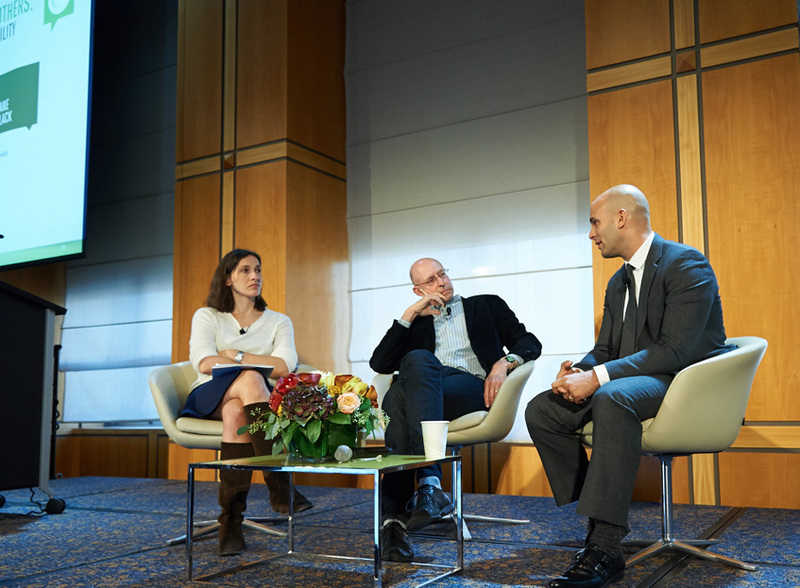 Jane Black moderated a dialogue between Michael Pollan and Sam Kass. Photo by Kent Miller. Poet Joshua Merchant of the Bigger Picture Campaign performed poetry about the intersection of food and health in his hometown of Oakland, CA. Photo by Kent Miller. 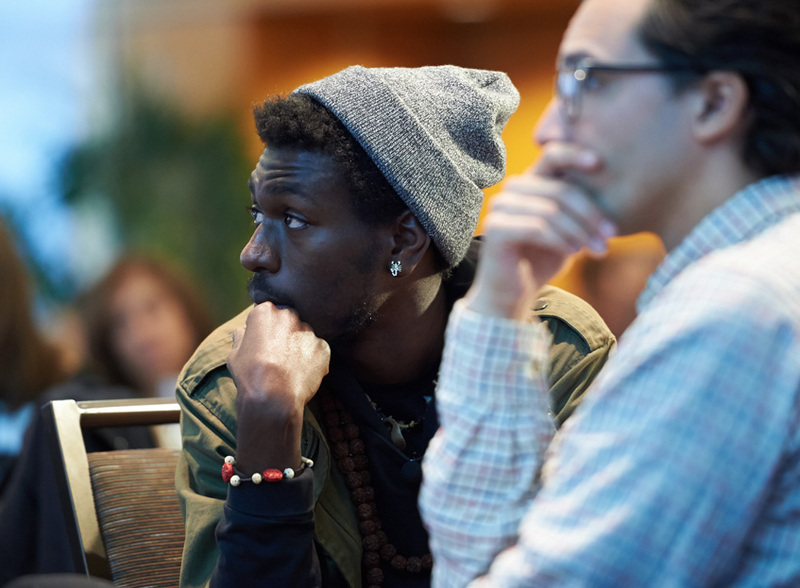 The James Beard Foundation Food Conference draws over 200 attendees from diverse sectors in the food system, including chefs, farmers, scientists, industry professionals, and advocates. Photo by Kent Miller. KK&P works closely with the James Beard Foundation to develop an engaging program featuring diverse perspectives from thought leaders, visionaries, researchers, and professionals. 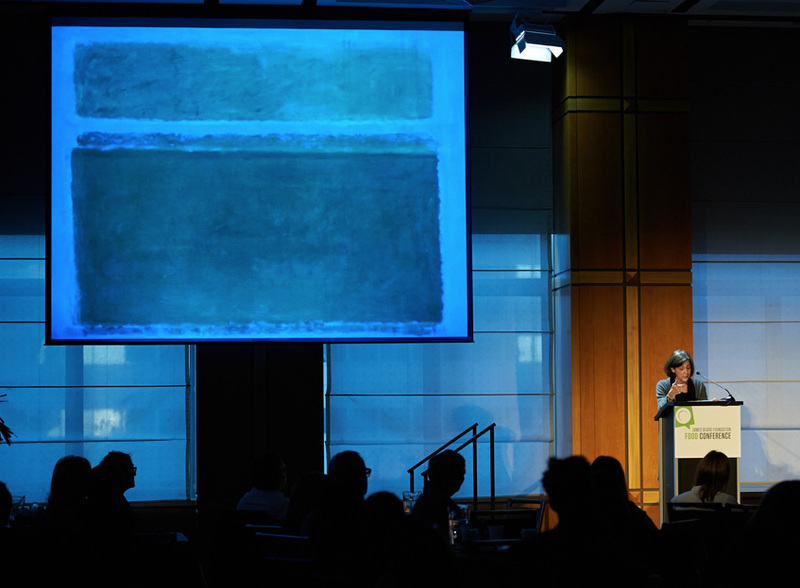 Since 2009, KK&P has co-produced the annual James Beard Foundation Food Conference. With themes ranging from “Trust” to “Appetite” to “Media & Money” to “Food & Health,” the James Beard Foundation Food Conference gathers over 200 thought leaders and food professionals from around the country to discuss and co-create new approaches to complex food issues through an array of academic, cultural, and industry perspectives. 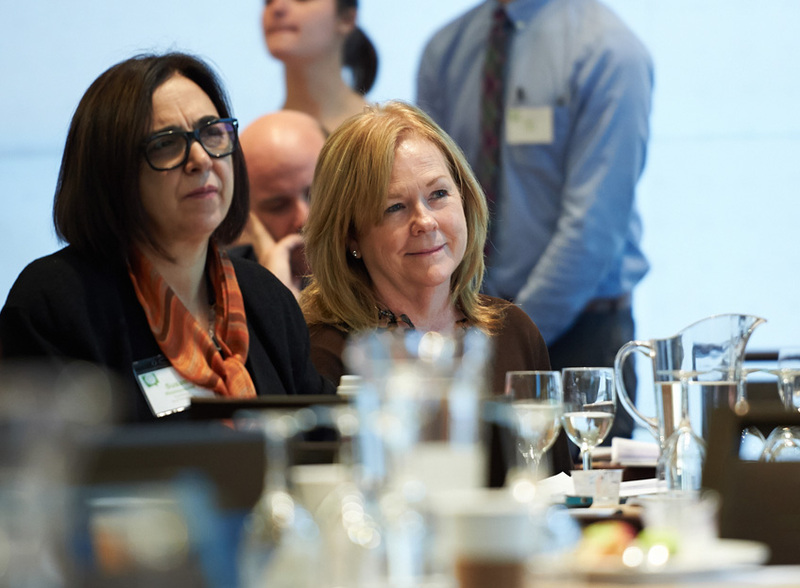 KK&P works closely with the foundation to develop an engaging program featuring diverse perspectives from thought leaders, visionaries, researchers, and professionals. Recent featured speakers have included Marion Nestle, Michael Pollan, Ezekiel Emanuel, Debra Eschmeyer, Raj Patel, and many others. Attendance has steadily grown as the conference has emerged as a leading convention of dynamic and visionary food thinkers and practitioners.